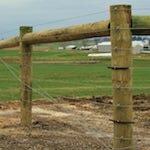 Woven wire is the chosen method for sheep fencing for all farmers and herders alike. There is no better choice than going with the woven wire. 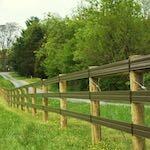 It’s the most durable and cost effective option available. 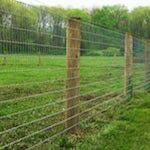 If durability is a concern to you, then going with the high-tensile woven wire sheep fence is a great choice. 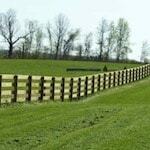 They will not sag or stretch as easily as non-tensile woven wire fences. More resistant to rust and lighter in weight. 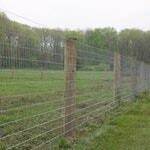 Woven wire sheep fencing can handle everything your sheep throws at it. 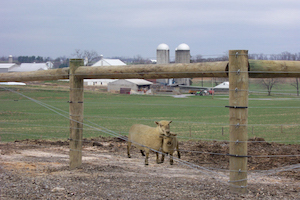 After installing sheep fences across the Eastern United States, we can say with confidence that we will get the job done, within budget, and on time. 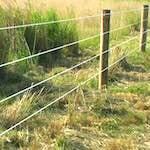 We invite you to fill out our Woven Wire Sheep Fencing Quote, it’s the first step to getting the perfect woven wire sheep fence you need.